I have too much beer. Well, OK, that’s not entirely accurate. I only have about 100 bottles on hand right now, which is a small drop in a large bucket compared to a few people I know who have beer cellars that are large enough to be worth more than the GDP of a small country. The problem, though, is that between the ol’ day job and a deluge of dinners, tastings and other things I’ve been attending recently, I’m rarely drinking any beer at home. And when I do get the chance to do so, it’s usually when I’m taking advantage of having a bit of down time to watch TV or a movie, and I don’t want to drink anything that I need to think about or take notes on. As a result, I’m faced with a backlog of brews that I’ve received or picked up to write about. And in the case of the stuff I’ve been sent, I’m starting to feel guilty about letting the bottles sit and wait to be consumed and reviewed. This is especially true of the assorted Innis & Gunn beers that their Canadian rep Nicol Rennie passed on to me a couple (or more accurately, a few) weeks ago. Nic was kind enough to give me a couple of bottles of their Triple-Matured version which recently hit the shelves in Ontario, as well as their upcoming holiday gift pack which has bottles of I&G Original, IPA, and Rum Cask editions along with a lovely glass. So having them sit undrunk for so long is making me feel like a bit of a schmuck. My plan at first was to do a single post reviewing all of them, but given that they’re not exactly the sort of beers that you can polish off several of in a single session (well, you could, but it would be hard to get any useful tasting notes out of it…), I figured a better bet would be a series of posts as I get around to drinking each of them. And since I still had a bottle each of the I&G Blonde and Canadian Cask editions from earlier this year, I thought I’d throw them in to make it a sort of virtual six-pack. My mild case of OCD directed me to start the series with Innis & Gunn Original. I’ve already told the unique story of how this beer was created in an article I wrote for Taste T.O. a couple of years ago, so I won’t rehash things here. I will, however, note my continuing amazement at how a beer that is so different from the pale lagers that dominate the sales of domestic beer has still managed to become the top selling UK beer at the LCBO based mainly on word-of-mouth promotion. It helps that it’s a pretty good beer, of course. Better than I remembered, in fact. Pours a bright, clear copper-amber with a creamy white head that sticks around for a while. Aroma holds a very, very faint hint of skunkiness (helllloooo, clear bottle! ), but it mainly smells of a nice woody bourbon, with a bit of caramel and butterscotch. Thin body is a bit of a letdown. Flavour is quite sweet, with some strong influence from the oak barrel. Definitely a unique beer that I enjoyed for what it was, but I couldn’t help but imagine that a mild ale with a shot of whiskey dumped into it might be quite similar to this. I’ve had it a few times since – but not recently – and I found this new bottle to be more balanced and elegant than I recall it being in the past. Perhaps my subsequent tastings of the stronger and more flavourful I&G variations had skewed my memory somewhat, but I found the sweetness to be more subdued and the oak notes to be more mellow. Vanilla is also a bigger player in the flavour than I remembered, and while the body is still light, I didn’t consider it to be as much of a negative feature as before – if anything, it just makes the beer easier to drink. And thanks to the fact that it went straight from gift box to fridge to glass, there was no chance for it to be lightstruck, so it was fresh and clean with no hint of Pepe le Pew. 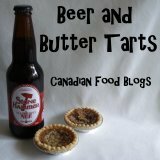 This entry was posted in ale, beer reviews, UK. Bookmark the permalink.